If an employer cites a salary survey, ask to see the curve. 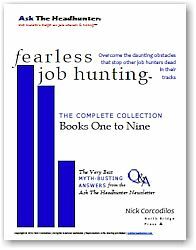 Point to the leading edge of the curve, where the most unusual individuals are earning the highest salaries. Your challenge is to demonstrate that your performance would indeed be at the leading edge of the curve. This is where I call employers and human resources departments to task. While the job offers they make are often only mediocre at best, they claim they reward “thinking out of the box,” and that they are in the forefront of their industry. This is where they need to prove it. I suggest you politely (and perhaps quizzically) address the person you’re negotiating with. There is nothing easy about this. You must do your homework in advance. (For more details on this assertive approach, please see The Basics.) It’s important to open a serious discussion on salary. Companies, and HR departments especially, love to talk about how people are their most important asset. We all know that assets are cultivated so they’ll grow. We want to maximize their value. So we hire the best people, pay them the most, and cultivate them well so they’ll pay off, right? Well, that’s not what happens when an employer insists on knowing your past salary so it can base a job offer on it. It’s hypocritical — and risky business. It’s how companies lose great candidates who won’t stand for average job offers. But you can make an employer’s pretensions work for you, if you can be firm but diplomatic, emphatic but gentle, challenging but cooperative. My suggestion above is one way to do it. 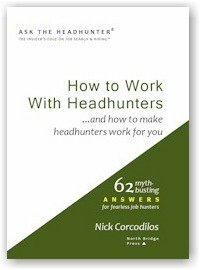 Putting Ask The Headhunter to work usually requires saying something to someone to make it pay off. My suggestions about How to Say It are not the only way. There are many good ways to tell an employer that you want more money when you’re negotiating a better deal. What do you do when you want more money? How would you say it — and what’s worked for you? Nick, I like the advice in this article, but I have a question regarding the salary curve argument. This salary curve is of incumbants in similar positions. However, don’t incumbants salaries typically rise at a faster rate (because of performance-based increases) than annual adjustments that a company makes to base salaries? If my assumption is correct, it would mean that employees that have worked in the position for 10 years are going to have a higher salary then those that are just about to join the company, all else being equal? 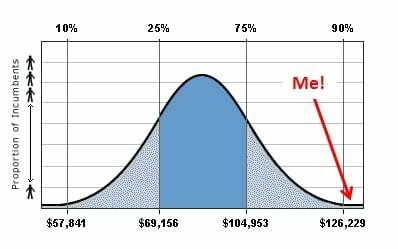 So, one would have to be incredibly valuable to request a salary at the leading edge of that curve ( and, although I appreciate the encouragement, it just seems a little unrealistic that most of us would be in that region of the curve). Now, if my assumption is correct, then I do see a case for a high-performer with years of experience at another firm requesting a salary closer to the leading edge of the curve. But otherwise, I see the positioning of the red arrow a little too agressive for most of us. You’re thoughts on this? To Joe: good observation, but mitigating against that is the salary “compression” phenomenon whereby long-timers are not getting raises that keep pace with the increases in initial offers. Generally, it’s believed that people already on board are a little more sticky and prone to stay if they’re fitting in, whereas those being onboarded need more enticement in line with salary inflation. So what’s the net of all that where the curve is concerned? Compensation specialists, please weigh in. Secondly, I wanted to share an experience from the past couple weeks involving a business school class alumnus who made a contact with a president in a sector that, as an operations senior specialist, I’m strong in. The individual wanted to know my salary range before even hinting at whether the role was COO, first line ops manager, or chauffer, for all I know. Any push back would have been perceived as snark or high maintenance behavior, especially since I’d be communicating through a trusted intermediate who has to “launder” communications as they pass through him. Any thoughts on this? So much for high end networking being the key. I agree with Kent’s answer to Joe. I would add that most reasonable people I know would want a decent raise (or other better perks and benefits) in order to switch jobs, if they already have a (good) job. Office politics and what not lead to long timers getting their 2% raise every year (if you’re lucky), sometimes regardless of performance. I think Nick’s article is also spot on. Only thing I would comment on is that even if you hire someone in the fat part of the curve, and they show an aptitude at the job and become a profitable star, why not bump their salary up faster, instead of playing games? Kent already said it for me – though I don’t have any references handy to offer in support. In my experience, people who stick around and get raises quickly fall behind the raises others get when they change employers. While I mostly agree with Kent’s explanation about this, I think many factors are at work in this phenomenon. For example, here’s a simple one: When employees get raises, there’s usually no negotiating because you’ve got no leverage unless you’re prepared to say you’re going to quit. When you’re discussing a job offer at a new company, however, the very fact that it’s a negotiation probably pushes the average offer up higher than the average raise. Dave, I’ve seen employers do just what you suggest: They bump a low-paid new hire up to where they should be. But most employers won’t bother. They’ll pocket the difference. And this is what’s a lot of employers don’t understand when they insist that they won’t hire entry level/junior/mid-level people – that so and so will leave in a year or whatever once they learn everything. How about giving your employees little or no reason to leave, at least money wise? Interesting discussion. The potential employee can be even bolder. Blow past the survey. It makes a nice wall hanging unless you have more information. What you really want to know is the company’s salary ranges. i.e how do they map their salary structure to that survey? So if they introduce a survey into the discussion I feel you’ve now got license to talk about it. Most likely you won’t get answers, but the questions will serve to show them you didn’t fall off a potato wagon. 2. If they participated in the survey or not..what really effects you is not where you fit into the survey, but where does the company’s pay ranges fit into the survey and inside of that, where do you fit in the company’s pay ranges? Waving the survey in front of you infers it’s relevant to their pay policy. It may, or may not be. That is, so what, are they doing anything with it? More nicely put if presented a survey, you can now ask Do you participate in it? In most cases the company’s pay ranges are top secret information, competitive information. But for a time I worked for a company where it was out in the open. I mean really open. We had wallet sized cards that had your (engineering in my case) ranges on it, entry & up. Later someone woke up and figured this is information they preferred not be so accessible. 3. Doing something with the survey can mean strategically. That is, a company can decide WHERE in that survey curve they’ll operate pay-wise. This is oversimplification but using the curve shown, a company can decide to take the low road, set up pay ranges in the 10-25%cile of the curve. And likely live with a constant turnover, or the 25% to 75%, average, or be a leader, and deliberately pay in the high end or even better. meaning if someone stays in their geography, it’s highly likely if they try to leave for another similar job, they are facing a pay cut or that “high end hiring argument”. So…if they tell you they participate in it, you are now positioned to ask, Where does your pay ranges fit in? And if they tell you that..you’ll be able to see where you’re really landing. This is real. I worked for a company that participated in a survey, found they were too much to the low end, decided to up the ante, and actually did a “blue bird special” to align current employees in line with their strategy. De facto it addressed compression. The same company was multi-divisional and none were in line with each other. It effected internal equity as well. Most companies are better at buying and managing toilet paper than hiring and keeping good workers. @Dave: How about giving your employees little or no reason to leave, at least money wise?” Oh, but that would be logical and make sense, so why would they do that? Sorry–I couldn’t resist. Years ago, when I was in college, one of my jobs was in a retail bookstore. Retail pay is lousy, but I was young, in school, and had limited options. The manager was great, I had nice colleagues, hours that worked with my other jobs and school schedule, but the pay was terrible. I remember the manager telling me that she couldn’t give raises no matter how quickly employees caught on, no matter how good of a job they did because the store’s owners reserved that right for themselves. Then she said that the owners loved high turnover because it meant they never gave anyone a raise or even started new employees who had some experience with a slightly higher wage. And there was high turnover because the wages were so low and because this store had been open on Sundays and holidays prior to the end of the Blue Laws banning stores from being open on Sundays, they were not required to pay those who worked Sundays time and a half (just got straight time) AND we were open longer than the stores that had been previously closed on Sundays. Would a high wage have prevented some of the turnover? You betcha! People were hard workers and wanted to do a good job. It is too bad that the owners didn’t understand the downside to low wages. And yes, that store eventually folded. @all, thanks for the great discussion. It really is interesting because of my personal experience at a company where it was widely considered that folks that had been there for years were pushing the upper limit of the pay range, without opportunity for further promotion. But the comments here make an incredible amount of sense. 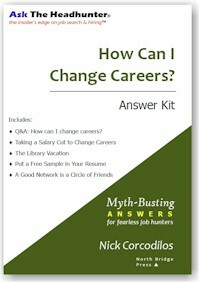 I imagine that there are situations where people do change jobs for lower salaries for whatever reasons. But I would agree that most folks looking to leave their current position would be looking for a better compensation package/advancement. And this is what is also interesting to me. When I have interviewed for jobs in the past where salary ranges for the position were openly discussed by HR, they looked at me as if I were crazy to ask for a salary in the mid-range of the position, or thereabouts. I wonder now, whether the midpoint for the positions in question was actually representative of the leading edge of the compensation curve? Hmmm, interesting concept, this one of compression. Thank you! 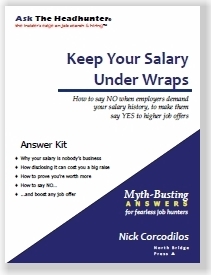 The Salary Curve game underscores Nick’s advice about why you must triangulate and be engaged with the hiring manager, and not just HR. 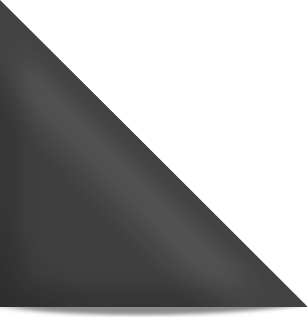 HR – What is your present salary? HR – Thats at the very high end of the salary scale for this position. Candidate – Are you looking to hire a below average candidate or an above average candidate for this position? I was under the impression the hiriing manager wanted the best possible candidate. The normalising factor on the incumbent vs ‘newcomer’ salary difference is experience. If you aren’t paying people of comparable experience close to the same wage, regardless of when they come in, you can expect legal action to correct that at some point. When you have to hire in the rock star, you had better budget in to raise up salaries to compensate or suffer legal peril. Your company may be an international one, and in their home country/area, salaries/remuneration are much lower than they are in the US. They may have great perqs, but poor pay. What is the data source, geographically, and have they standardised for localities? Also, there are numerous models at play. Is the position overhead? Is it billable? I’m 100% billable, so I’m carrying my own water. And the margin is enough that it is also covering all of my soft remuneration as well. But that is the contract (end customer) I was hired for. What happens if that changes, or if I am moved to another role, where my margin is different? Obviously then my leverage changes as well. But I’d ask more about the money source when discussing your offer. If you are 100% billable, or even close to that, it is a throw away for your company. “If I can’t prove that to you during our interviews, then you shouldn’t hire me” tells them you are not willing to negotiate, so they will not point to any other part of the graph, if they think you are better than average, but not worth the most.